Spam text messages are nothing new, but security research firm Cloudmark is now warning people of a new approach being taken by those who previously relied on SMS to peddle their spam. With the cost of SMS being prohibitive to some spammers, Apple’s free iMessage has found itself in the firing line, with one spam campaign in particular using Apple’s messaging service to try and take people for a ride. The messages, says Cloudmark, are targeted at affluent people in the cities of New York City, Los Angeles, San Diego, and Miami and are trying to get people to buy counterfeit goods. Fake Oakley sunglasses are top of the list for these con artists, so if you’ve found yourself on the receiving end of an iMessage that seems too good to be true, it probably is. So how big a problem is it? According to Cloudmark, a massive 47% of all SMS spam in New York City came from this particular iMessage campaign, which is rather stunning no matter which way you slice it. It’s safe to say that iMessage spam has well and truly arrived. As far as recommendations go, all we can say is to ignore anything like this that lands on your iOS device. Fashion-wear at silly prices should be ringing alarm bells even at the best of times, but unsolicited iMessages really should have your Spidey senses tingling big-time. Just remember, if it’s too good to be true, and arrived in a little blue chat bubble, report it to Apple by forwarding the same message to 7726. 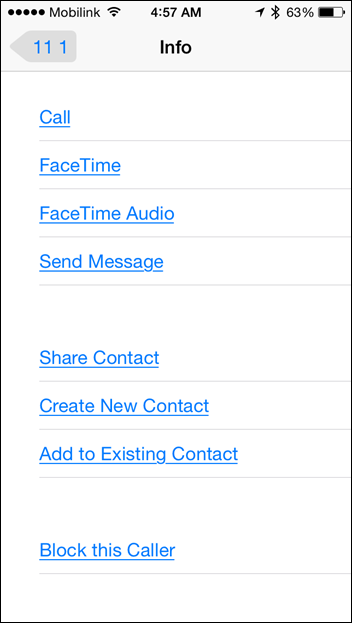 You can also add the sender to your block list by tapping on Contact->i->Block this Caller right from the messaging thread in Messages.app.